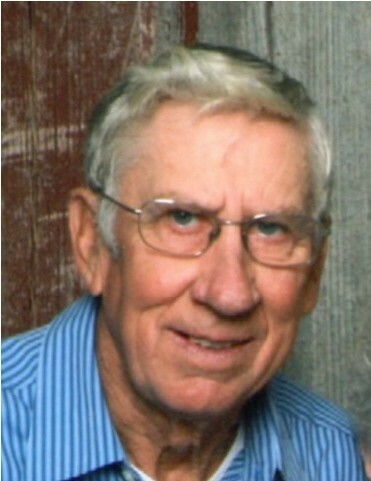 Melvin Gene Vonholt, 81, of Clayton, was called to his heavenly home at 7:45 p.m. Thursday, April 11, 2019, at Blessing Hospital in Quincy surrounded by his family. Born June 27, 1937, in Quincy, Melvin was the son of Albert Christian and Ina Christina Gieker Vonholt. He married D. Joan Alger April 13, 1963, at Ellington Presbyterian Church in Quincy. She survives. Melvin attended Hazelbluff grade school and graduated with the last graduating class of Clayton High School in 1955. He was a lifelong farmer in Concord Township and served 44 years as a Concord Township trustee. Mr. Vonholt was employed for 18 years at DOT Foods retiring in 2007. After his retirement from DOT, he continued life on the farm and especially enjoyed building fence. Melvin enjoyed time spent with his family and attending his grandchildren's sporting events. He had numerous friends and never met a stranger. Melvin was a member of St. Peter's Church of Lost Prairie where he served on the church council. Survivors in addition to his wife are two sons, William G. "Bill" Vonholt, Clayton and Bradley K. Vonholt (Bobbi), Minatare, NE; his daughter, Beverly J. "Bev" Roberts (John), Liberty; three grandchildren, Max B. Roberts (Kayla), Brookfield, MO., Spencer J. Roberts (Hailey Pelton), Liberty, and Noelle B. Vonholt, Gering, NE. ; two great-grandchildren, Granger Holt Roberts and Aspen J. Bacus; and several nieces and nephews. He was preceded in death by his parents and his sister, Alberta York. Funeral Services will be conducted at 10:00 a.m. Monday, April 15 at the Good Shepherd Lutheran Church in Clayton. Burial will follow at Zion Cemetery in Concord Township. Visitation will be held Sunday evening from 4:00 p.m. until 8:00 p.m. at Good Shepherd Lutheran Church in Clayton. Memorial contributions may be made to Zion Cemetery in Concord Township.